ZWSOFT is offering a wide array of cad programs to improve your cad designing skills. In order to select a perfect cad program, one should consider the features of the program. The following are some of the useful cad programs offered by ZWSOFT. ZWCAD+ STD: ZWCAD+ STD consists of fundamental and useful design tools. ZWCAD+ STD version will be well suited if the primary function is the assembly or auditing. ZWCAD+STD is mostly beneficial for reviewing and slight editing. ZWCAD+ PRO: It contains some superior 3D features that range from Full ACIS modeling & editing as well as programming interface like VBA, .NET or ZRX. Use this cad program to start your design from start to finish. It comes with all of the functions of the STD version. ZWCAD Mechanical: ZWCAD Mechanical can improve your mechanical design process through various annotation tools to identify your design. This cad program can be customized to accelerate your annotation and standardize your design. The latest version is ZWCAD Mechanical 2015 that can greatly enhance your design skills in mechanical field. Simplify the mechanical dimensioning system through power and multiple dimensions. There are various mechanical symbols to speed up your design. It includes wide-ranging Part Library and Part Builder to augment your drafting process. This latest cad program can produce section lines, direction symbols, and detail views instantly. It also creates shafts and gears parametrically. 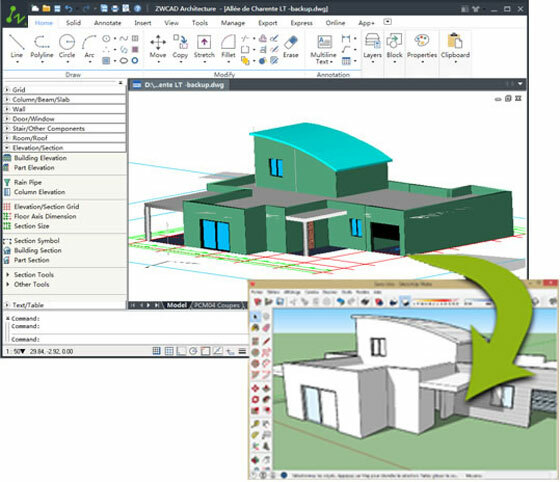 ZWCAD Architecture: It attributes parametric building components commands to accelerate the architectural design process as well as to create nice looking 3D architectural models. It contains all the features of ZWCAD+ and content libraries & tools intended for architectural drawings which can improve the workflow, automate tiresome drafting tasks, trim down mistakes and enhance effectiveness. CAD Pockets: CAD Pockets allows you to view any model in 3D. This cad software facilitates the clients to get a better visualization process by making realistic design. It is free to use and compatible with various mobile devices. This cad package is considered as a useful design tool to help you to make your design from start to finish.